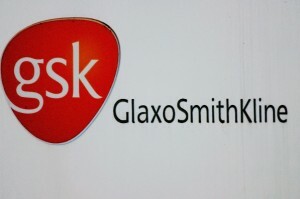 Britain’s biggest drugmaker, GlaxoSmithKline, has been accused by Chinese police of bribery and pushing up medicine prices in the country. The firm has been termed a “ringleader” in a three billion yuan ($489 million) bribery scandal by the police. Four executives of GSK China were accused last week of channelling large bribes to Chinese officials and doctors through travel agencies to boost sales illegally and raise the price of its medicines in the country. Shen Danyang, a spokesman for the Ministry of Commerce (MOC) said on Wednesday that China firmly opposes any form of commercial bribery. “Any company, be it Chinese-or foreign-funded, should be subject to legal sanctions and assume legal responsibility if it breaks Chinese law”, Shen said. China’s Public Security Ministry has alleged that fake travel and meeting expenses, and trade in sexual favours led to a 20 per cent rise in Glaxo sales last year. China’s food regulator body also announced a probe into bribery allegations, fake drugs and unauthorised medicine sales, authorities announced in Beijing on Wednesday. Yan Jiangying, a spokeswoman for China’s Food and Drug administration told reporters that a six month probe will look into all irregularities in the food and drug sector. China Central Television’s (CCTV) on Monday aired a programme that featured Liang Hong, operations manager for Glaxo China, revealing details of the bribery. Hong has been detained by the Chinese police.